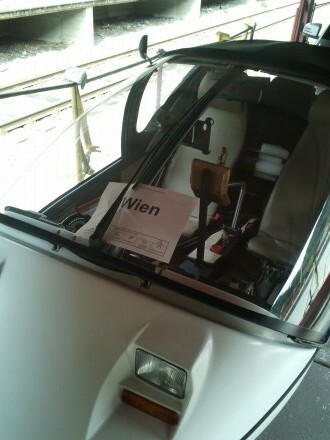 finally, again, tw560 and i are on our way back to vienna. 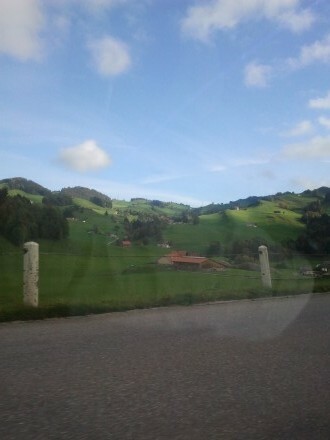 my family will be in austria for a week riding horses somewhere outside schladming – this gives me some time to stay with my relatives in vienna for the weekend, work out of my vienna office and then head onwards to southern styria. saturday morning oct, 13, i load the TW560 with all the stuff i need to survive until oct21, when i’m going to be back home. 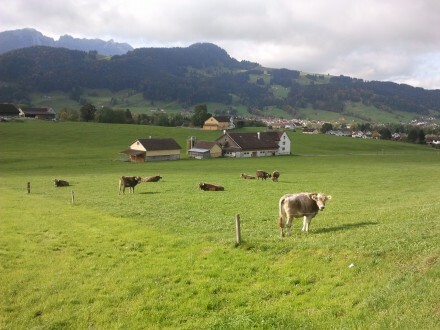 did i mention i really like the appenzell region? picture perfect and postcard-like landscapes – incredible! 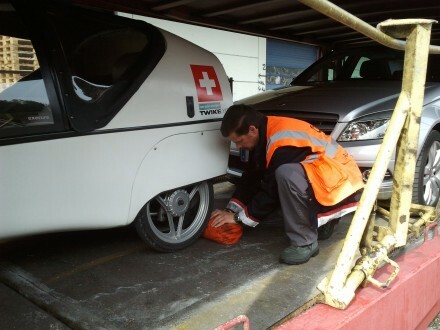 after arriving in feldkirch, i park my TWIKE at the charging station just beside the ramp for the train and agree with the local winos hanging around there to have an eye on my vehicle. then i start wandering around feldkirch. the guys at the feldkirch energy provider are serious about electric mobility and have the the highest concentrations of park&charge charging points in europe. 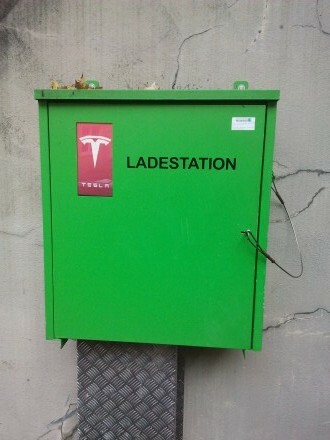 i was nevertheless very surprised to discover a public tesla 64 amp charging station in the old town of feldkirch! 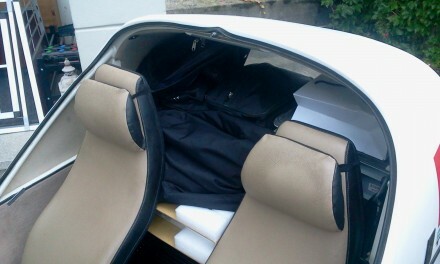 i then load the TWIKE on the train – always a special moment. 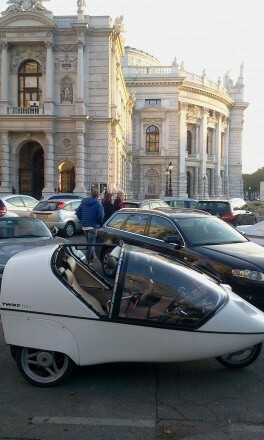 saturday and sunday i spend with my relatives in vienna. 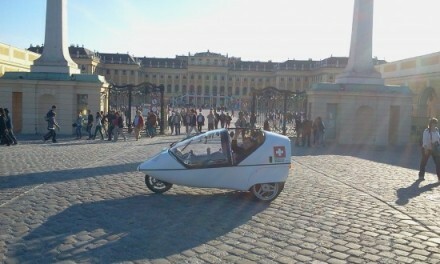 the wiener wald around vienna is perfect for a afternoon with the TWIKE. 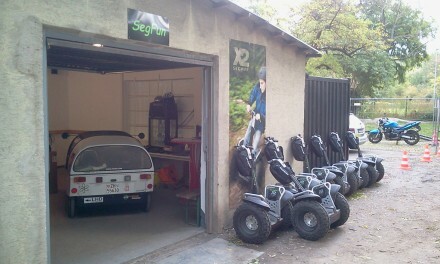 monday i have organized a little outing with my team: offroad segway-ing on the donau-island. 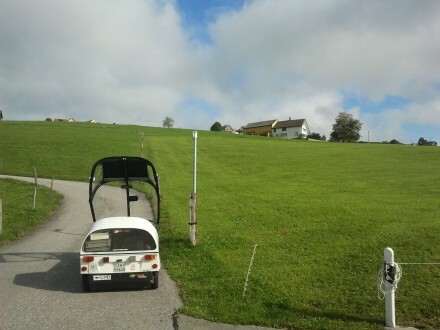 and then try to do some proper off-roading! after this very cool outside event and some food at a very nice and typical viennese restaurant i head onwards to a hotel near the schwechat airport since i need to fly to zurich for the day the day after… (and yes, i know that this is not helping my co2 footprint!) 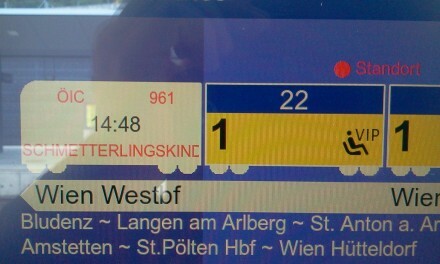 just to be back to vienna 12 hours later. 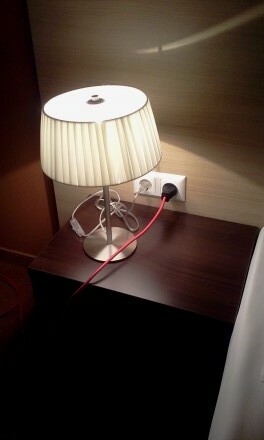 if you cannot get a plug outside, you charge from the hotel room! 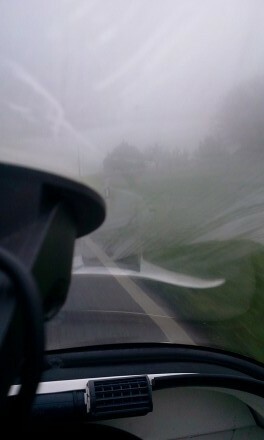 looking forward to hungary, slovenia … and styria!